Home Dicots What makes a good botany video? 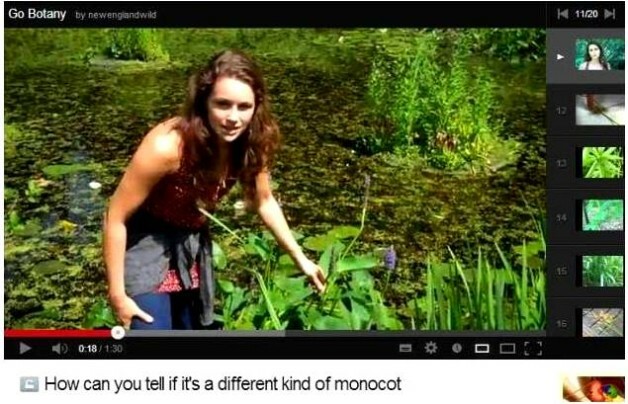 What makes a good botany video? If you have read Dr M’s eXtreme botany manifesto you will know that Dr M is an advocate of video as a medium for teaching botany, for example learning species identification. Dr M is discussing these issues at INTECOL in London today and in September at the Enhancing Fieldwork Learning Showcase Event. As part of his recent research into this issue, Dr M has located some contrasting videos all with the botanical goal of explaining how to tell the difference between the two major groups of vascular plants: the dicots and the monocots. Which works for you and why? Which would you choose to or recommend to another person wanting to learn about plants? Are there best bits in each one which could be combined to give an even better video? Contact Dr M if you have found any other botany videos which do a good job communicating and teaching and learning about the wonderful world of plants! Dr M has already posted Molly Marquand’s video from NewEnglandWild (image above) which you can find here. Four other videos are located below.